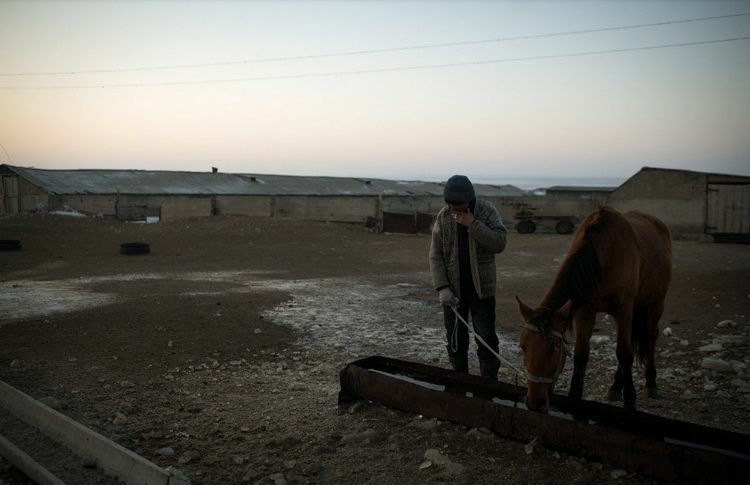 KERBULAQ, Kazakhstan — It has been a long, rough ride for the cowboys of Kazakhstan, descendants of the nomadic herders who roamed across Central Asia until Russia declared in 1864 that it could no longer tolerate their “turbulent and unsettled character” and would force them to settle down. Steadily stripped of their pastureland by Russian officials and settlers in the 19th century, and then of their cattle after Russia’s 1917 revolution, nomads became hired hands on collective farms. But they still knew how to ride, becoming cowboys for the state instead of themselves. The state farms have now all gone, replaced by big private ranches and small family-owned herds, which also still need cowboys. But so harsh is life on the steppe that today’s Kazakh cowboys, while proud of providing their rapidly modernizing nation with a link to its nomadic past, rarely want their own children to follow them into the saddle and instead urge them into more sedentary and better-paying work. Erlan Kozhakov, 63, a herder on the sandy scrubland between Kazakhstan’s biggest city, Almaty, and the Chinese border, has three sons and three daughters, and all but one followed his advice not to be taken in by the romantic notions about herding cattle spread by schoolbooks that extol the glories of their country’s nomadic traditions. Mr. Kozhakov is not really a nomad, as he returns each winter with his family to the same wood-and-brick shack on a frozen plateau with barns and cattle pens. But he and other herders like him represent the last remnants of a vanished past that Kazakhstan - now, thanks to immense oil reserves, slightly richer per capita than Russia - both celebrates and desperately wants to escape. 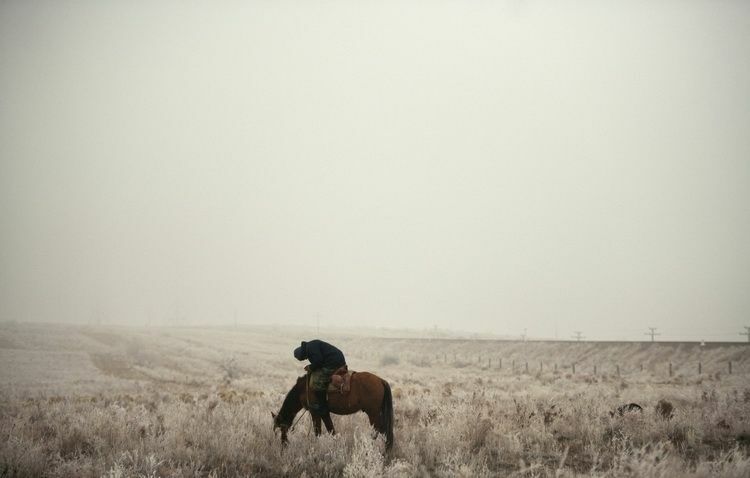 Pausing for a cigarette on his horse while his sheep and cows vanished into the mist on the ice-covered steppe, Mr. Kozhakov, who learned to ride when he was 5, said he had seen American cowboys in films and envied what struck him as their cushy and carefree lives. “They have it so easy over there compared with us,” he said, gesturing across an expanse of shrub land carpeted with frail, ice-frosted sagebrush. He earns less than $300 a month, which is only two-thirds of the national average, and is constantly reminded of how much better off many of his countrymen are by the expensive cars that race along a new highway built through his pastureland. He recently bought himself a new pair of leather and rubber riding boots lined with felt but still has cold feet after riding around each day from early morning until evening in frigid weather. 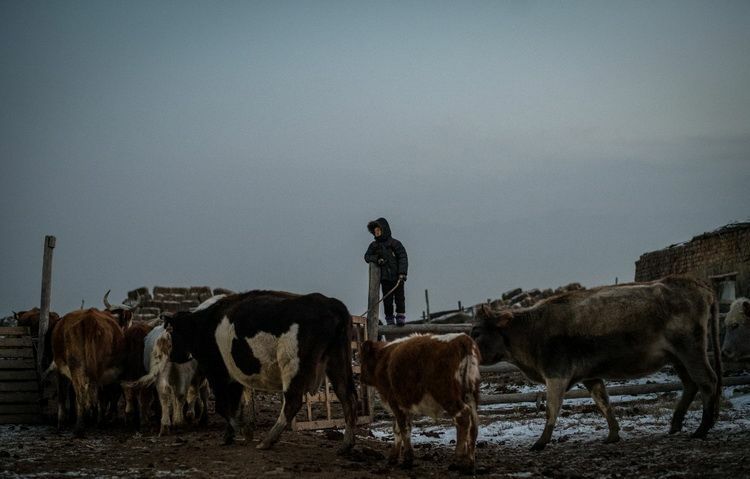 While his oldest son, 38, works as a cowboy, his five other children, he said, “all see how hard this work is and want to do something else.” His youngest daughter, the family’s standout student with no interest in cows, is studying finance at a university in Almaty. 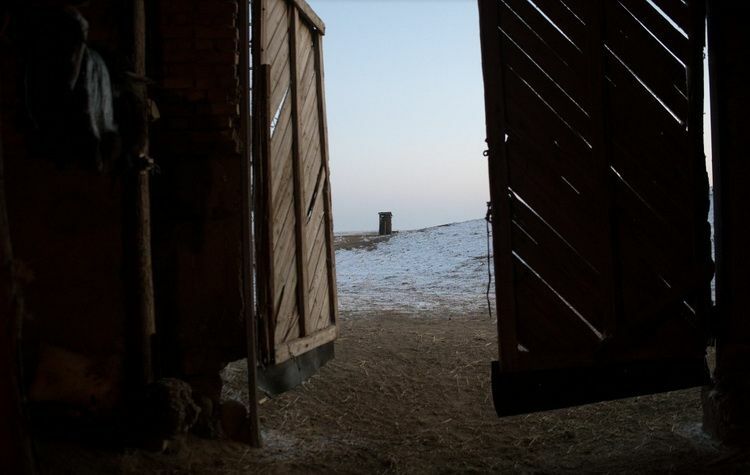 Mr. Kozhakov’s wife, Kenzhi, 57, who was raised on the other side of Kazakhstan near its western border with Russia, recalled a brutal side of nomadic traditions: She said she was “stolen” when, at 18, she made a trip east to visit her sister and was forced into marriage. “He saw me and decided he wanted me,” she said, recalling how she had been effectively kidnapped by Mr. Kozhakov, whom she had never met before. She was held prisoner at his home, guarded by his mother and grandmother, until she agreed to marry him. Mr. Kozhakov leading his horse to water after a long day herding sheep and cattle. “Fortunately, he still likes me,” she said as she prepared a lunch of lamb and rice for her middle son, who recently returned home after losing his job as a driver near Almaty. The mockumentary remains so deeply upsetting, particularly to Kazakhstan’s educated political and economic elite, that the police in the capital, Astana, recently arrested and fined six Czech students for dressing up in the revealing swimsuit, or mankini, favored by Mr. Cohen’s spoof Kazakh journalist, Borat. After being derided as savages by tsarist-era Russian officials who began coveting their land in the 18th century, and then force-marched into Soviet-style modernity, Kazakhs have spent the last 26 years as an independent nation trying, with a large degree of success, to revive pride in their own past traditions while proving that they can join the modern world separate from Russia. The Russian project to uproot nomadic life, begun by tsarist administrators and pursued with particular zeal by communist commissars, was so successful that, by the time the Soviet Union collapsed in 1991, the only remnant of nomadic life left were the cowboys tethered to crumbling state farms. As the world’s largest landlocked country, Kazakhstan covers an area nearly four times the size of Texas but has only 18 million people, a ratio that leaves plenty of open spaces for cattle and cowboys. In the first two decades after independence, Kazakhstan focused mostly on developing its oil fields and mostly ignored its cows, whose number declined steeply. Also neglected were cowboys. In 2012, the government decided, for both economic and cultural reasons, to start pouring money into the cattle industry. It sent groups of cowboys to train in North Dakota and brought in American cowboys to help out on the steppe. The number of cattle has since risen sharply. Nearly all of the money, however, went to big ranches linked to or owned by the government, not to small-time cowboys like Mr. Kozhakov. Instead of delighting in Kazakhstan’s progress, both he and his wife say they miss the Soviet Union. His wife said she and her family were living in a remote camp without television or telephone when the Soviet Union fell apart and did not even know anything had happened until the state farm they were herding cattle for stopped sending supplies. Her husband then found a job with a new private ranching company, which often delays salary payments and insists that its supplies of cattle fodder be used to feed only its own animals and not those owned by Mr. Kozhakov. 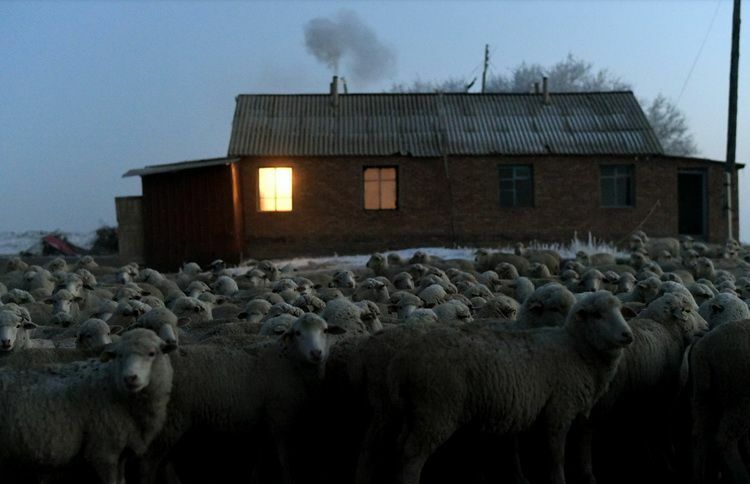 He recently had to sell 200 of his sheep because he could not afford to feed them. “These new people count every penny,” his wife complained, waxing nostalgic for Soviet days when, she said, nobody on the state farm paid much attention to who was doing what with whose money. Alidin, the 9-year-old son of another cowboy, Nurzhan Mazhit, in a pastureland about 100 miles away, said he had no intention of following in his father’s footsteps and instead wanted to become like the wealthy rancher who visits the family periodically in an expensive car to check on his cows. 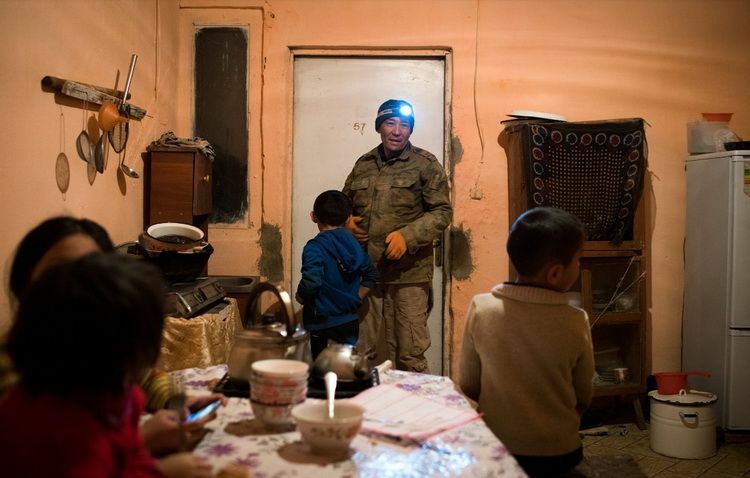 Mr. Mazhit’s wife, Rangul, said her five children, who live in a town near Almaty so they can go to school, cried whenever they came back to the steppe to visit their parents because life is so hard and they don’t like animals. None of them want to be a cowboy like their father. “My sons see the owner of the cows drive up in his fancy Jeep, and they want to be him not their father,” Ms. Mazhit said. One wants to be a doctor, another a police officer. Mr. Mazhit, who gets paid no salary and herds the owner’s cattle in return for being allowed to feed his own livestock for free, said he was glad his children’s horizons reach beyond life on the steppe. All the same, he hopes his own profession can live on. A version of this article appears in print on December 31, 2017, on Page A6 of the New York edition with the headline: For Kazakh Cowboys, Life Unlike Any Western.